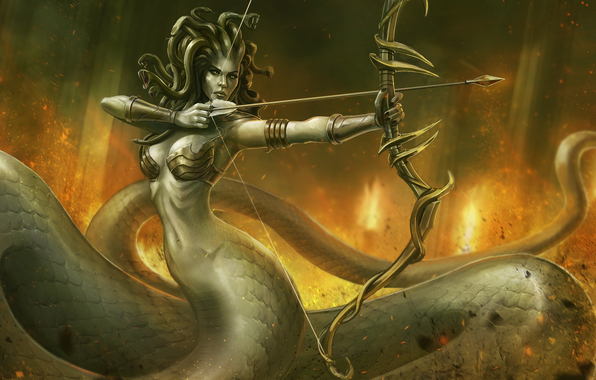 Medusa is one of the heroes in the game Dota 2, which is a well-known MOBA game in the world with many big global competition. 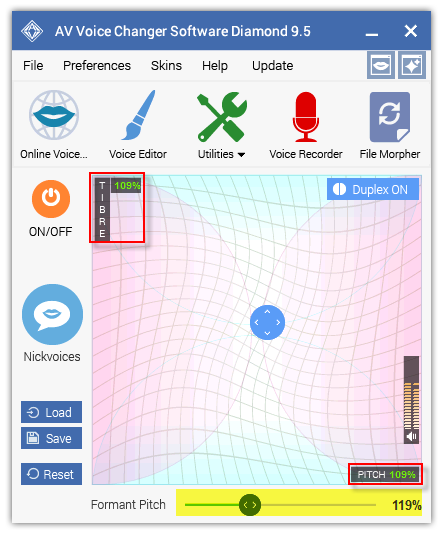 In this post today, I will show you how to imitate the voice of Medusa. It will be fun as hell when playing, trolling while playing game or simply for the purpose of recording an audio. What do you know about Medusa? The story about Medusa is a very famous myth about the daughter of Phorcys and Ceto. Ancient Greek myths say that she also had two sisters and they are known as the Gorgons, but Medusa was the only mortal among the three. The rest of this story, I think everyone knows that Athena punished her for the affair with Poseidon, creating the terrifying monster. 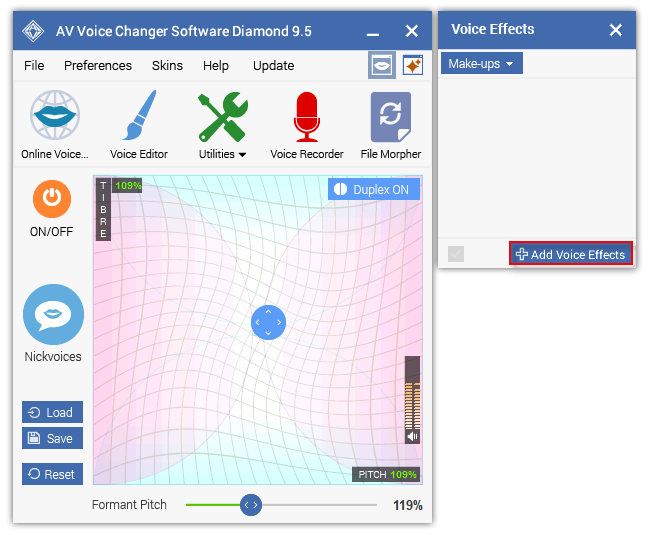 The software we use is AV Voice Changer Software Diamond, a perfect tool for changing voice, talking in real time and also editing audio. - Turn on Voice Morpher. 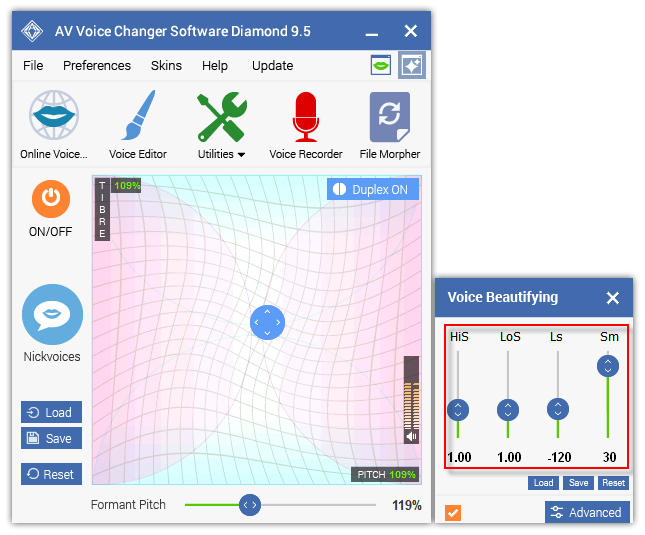 - Adjust Pitch - Timbre - Formant Pitch values. To me, the 109 - 109 - 119 value best imitates Medusa’s voice. 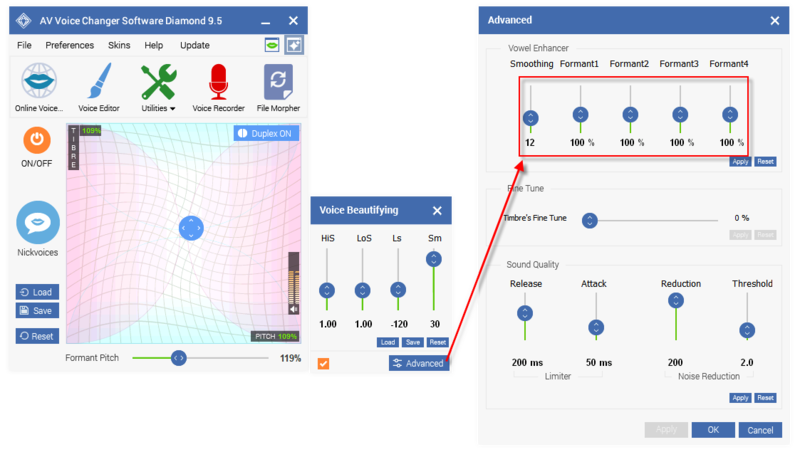 - On the right panel » Voice Beautifying: change Ls to - 120 and Sm to 30. - Click Advanced, then change Smoothing value to 12. - When Effects Settings dialog box shows up. 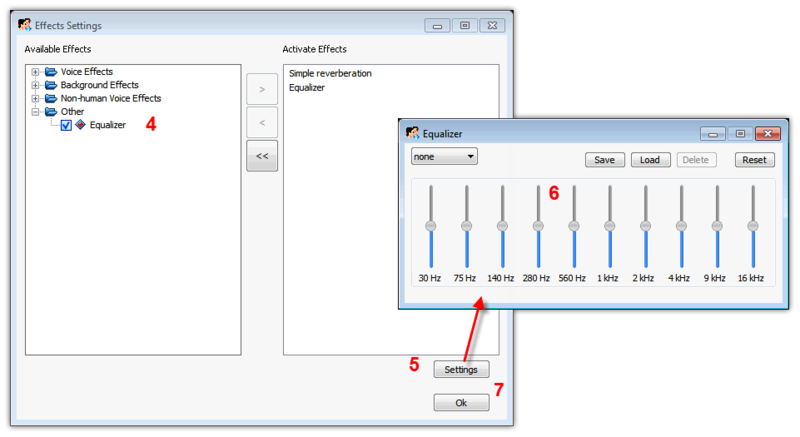 Choose Voice Effects (1) » Complex Delay (2) »Simple reverberation (3). This image have been resized - Click to view full image. 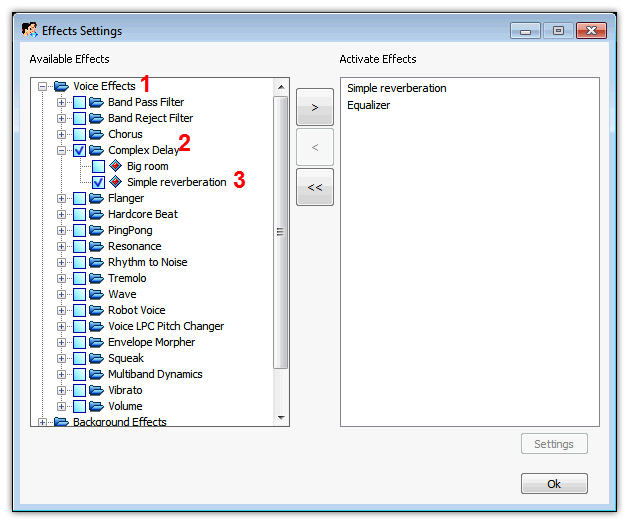 - Still in Effects Settings dialog box, choose Other dropdown list (4). - Remember to tick on Turn On the effects button (5). Click Ok (6) to close and apply effects..
Now, enjoy your Medusa voice. I am sure you will be amazed by this new voice.